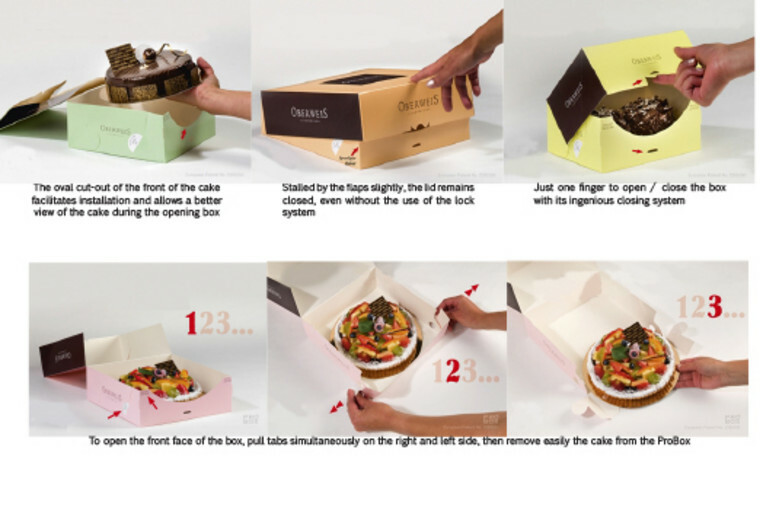 The ProBox ©® is the ultimate update of the automatic pastry box: Ergonomic, simple, easy to use for you and your customer, the perfect design for all of you who want the best. Manufactured with the finest compact boards, the ProBox offer strengths and quality. The ProBox is a combination of all the advantages of the Click-Clack and its own.